To celebrate this release, Vulvagun are happy to announce their partnership with HellFire Records Australia, who are handling the album's release world-wide. 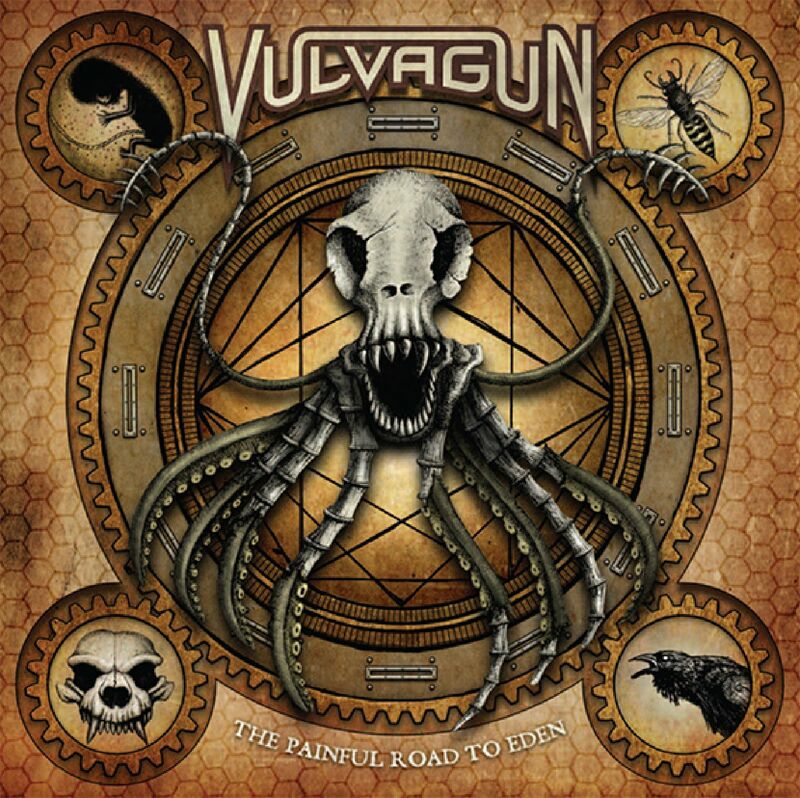 Like Vulvagun's debut album, 'the Painful Road to Eden' was written by Wayne Dwyer. This time around the album was co-produced by Dwyer, along with Australian metal legend Phil Gresik (Mass Confusion, Hobbs' Angel of Death, Long Voyage Back, Bestial Warlust, Day of Clint and more). The new album continues the theme of 'Cold Moon Over Babylon', taking the listener through a Lovecraftian/Darwinian labyrinth of dark science with a a story line that will journey to the edge of sanity, reality, history and myth. The album is accompanied by stunning artwork by Melbourne artist Matt Bottos, with the story contained in the music being fleshed out by his amazing array of visual companion pieces. Are you ready to go down The Painful Road to Eden?